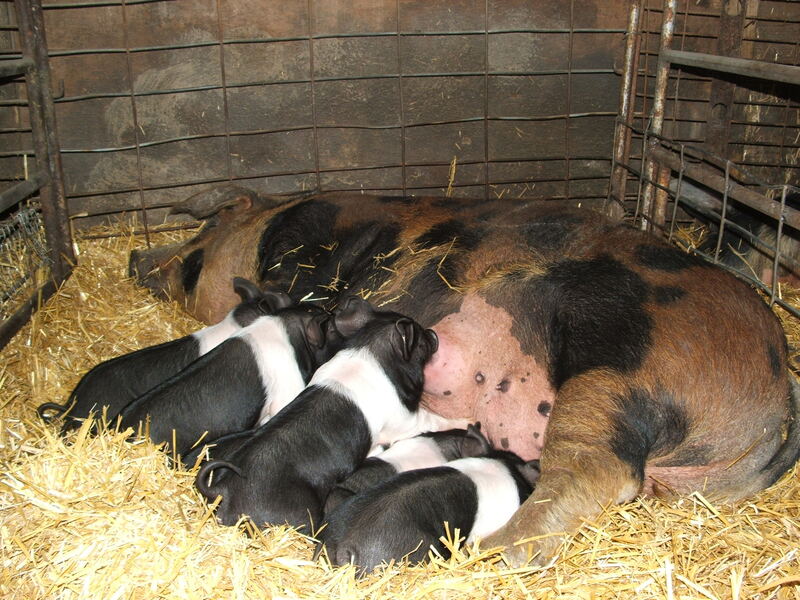 Sow and her Black Hampshire piglets. One of the many Jersey calves on our farm. Four of the girls on our strong Welsh pony Star!